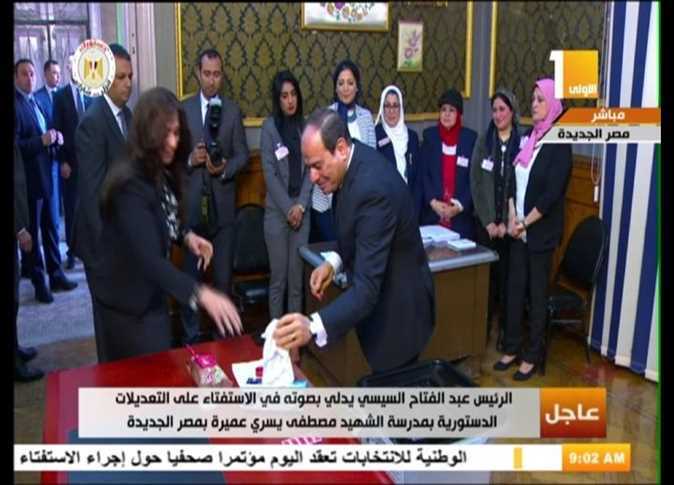 FILE – Employees in the EGX following performance of the trading session on December 12, 2017CAIRO - 24 April 2019: The Egyptian Exchange (EGX) ended four-session week in a semi-collective rise, adding LE 3.78 billion to market capitalization, amid foreign purchases.This week witnessed the referendum on some constitutional amendments, and passed by passed by 88 percent with 44 percent turnout. 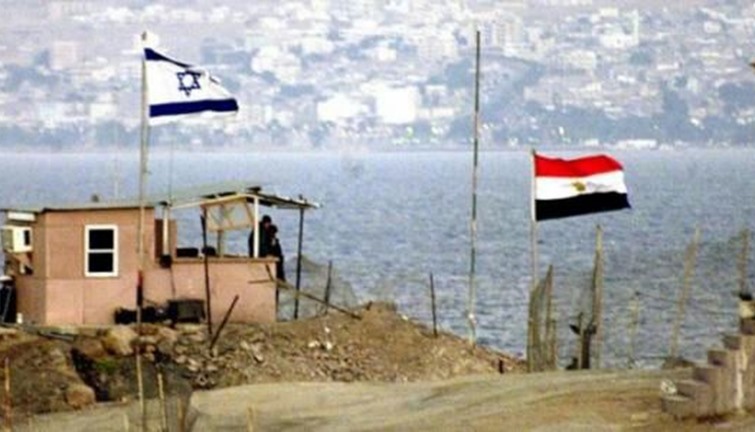 Also, EGX will start official holidays’ session tomorrow starting by Thursday, April 25, in celebration of the liberation of Sinai from the Israeli occupation.Trading will be resumed on Tuesday, April 30, to be off again on Wednesday, May 1, which marks Labor Day. Labor Day, also called International Workers’ Day, is a celebration of the working classes and occurs every year on May Day, an ancient European spring festival. EGX will back to trading normally on Thursday, May 2, according to EGX statement.The benchmark EGX30 rose 0.85 percent, or 124.49 points, to close at 14,770.27 points.The equally weighted index EGX50 increased 0.16 percent, or 3.55 points, to reach 2,286.37 points, and the broader index EGX100 inched up 0.05 percent, or 0.75 point, to 1,657.54 points.On the other hand, the small and mid-cap index EGX70 dipped 0.04 percent, or 0.25 points, to close at 649.27 points.Market capitalization gained LE 3.78 billion, recording LE 805.61 billion, compared to LE 801.83 billion in Tuesday’s session.The trading volume reached 70.76 million shares, traded through 12,160 transactions, with a turnover of LE 391.83 million.Foreign investors were net buyers at LE 41.71 million, while Egyptian and Arab investors were net sellers at LE 41.12 million, and LE 597,769, respectively.Egyptian and foreign individuals were net sellers at LE 32.83 million, and LE 3.28 million, respectively, while Arab individuals were net buyers at LE 5.3 million.Egyptian and Arab organizations sold at LE 8.28 million, and LE 44.99 million, respectively, while foreign organizations bought at LE 44.99 million.Lecico Egypt, Mansourah Poultry, and Memphis Pharmaceuticals, were top gainers of the session by 6.91 percent, 6.08 percent and 5.07 percent, respectively.Meanwhile, National Housing for Professional Syndicates, Assiut Islamic Trading, and Alexandria Pharmaceuticals were top losers of the session by 9.04 percent, 8.17 percent, and 5.19 percent, respectively.EGX ended Tuesday’s session in red, as EGX30 dipped 1.05 percent, EGX50 lessened 1.03 percent and EGX70 declined 0.08 percent, EGX100 decreased 0.28 percent. Chairman of Egypt Air Holding Company Ahmed Adel announced on Wednesday that his company is set to cooperate with global think tank Bureau Veritas to manufacture plastic products and offer them to local and global markets, according to the Arabic Ahram website. Chairman of the EgyptAir Supplementary Industries Adel Mansour said that the company signed an agreement with Bureau Veritas to implement a strategy to produce non-structural parts of aircraft cabins. An official source at EgyptAir told al-Mal news website that the restructuring strategy will be implemented in two phases. The first phase will include preparing and studying the restructuring of the holding company and its subsidiaries. Meanwhile, the second phase will include the implementation of their plan and reaching the desired goal, according to the source. FILE - The concert's posterCAIRO - 24 April 2019: Popular folklore singer Mahmoud el-Leithy will travel to America on April 28 to celebrate the spring holidays in Nashville, Tennessee, with the participation of popular musician Mohamed Abdel Salam accompanied by an Egyptian band.Leithy is expected to sing a number of his most popular songs during his upcoming concert, accompanied by Abdel Salam, who has become one of the most important names in the world of folk music in recent years. 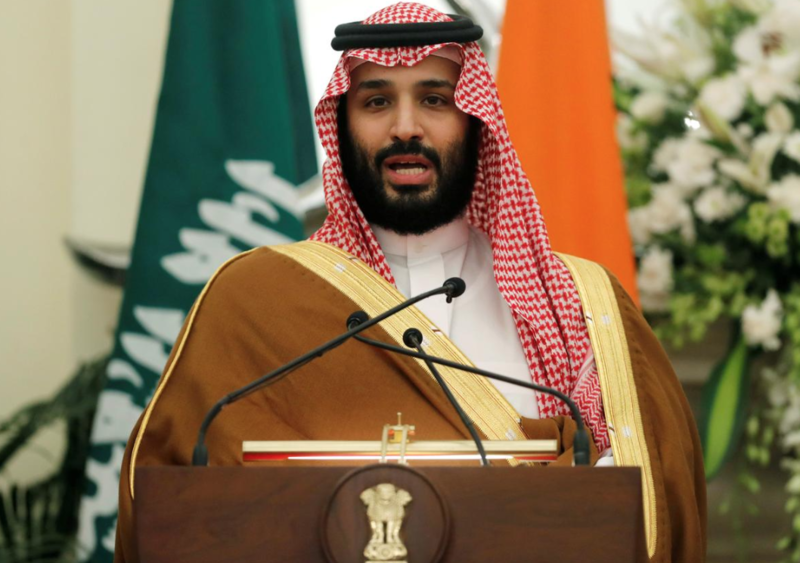 Big investors in Saudi Arabia appear to be focused on potential deals in the largest Arab economy and the world’s top oil exporter as it opens up under a transformation drive led by Prince Mohammed. On Tuesday Saudi Arabia announced it had executed 37 people in connection with terrorism crimes, the majority of whom were Shi’ite Muslims. Asked how Saudi Arabia was addressing national security issues, Finance Minister Mohammed al-Jadaan told the audience the Gulf region is “one of the safest worldwide”. The Saudi stock market has also seen an upsurge in foreign fund flows since the start of 2019 as the market enters global emerging market benchmarks. While some foreign investors are pushing ahead, other firms continue to keep Saudi Arabia at arm’s length, fearing a potential backlash at home over Khashoggi’s murder, the Yemen war and Riyadh’s detention of women’s rights activists. White Desert in Bahariya Oasis - CC via Wikimedia Commons/AhmedherzCAIRO - 24 April 2019: A group of 12 mass communication students at Cairo University launched in March a campaign called Egypt Invisible Map (EIM) to promote destinations fit for ecotourism adopting “Shades of Eco” as slogan.The students perceive tourism destinations in Egypt as having three shades: green, blue and yellow representing respectively landscapes, seas, and deserts and mountains.There are 16 ecotourism attractions in Egypt identified in accordance with the criteria set by UNICEF and UNDP. The list was compiled from UNICEF, UNDP, scientific journals, research papers, online surveys, and interviews.1- Farafra Oasis2- Dakhla Oasis3- kharga Oasis4- Bahariya Oasis5- Siwa Oasis6- Dahab7- Marsa Alam8- Nuweiba9- Taba10- Ras Mohamed and Nabq in Sharm El Sheikh11- Makadi, Safaga, Gouna and Al Qusayr in Hurghada12- Nuba in Aswan13- Tunis village in Fayoum14- Wadi Degla and Sant Samaan monastery in Cairo15- Menya16- Halayeb and ShalatynThe various activities that can be done by tourists in those destinations include hiking, snorkeling, diving, Safari, animals and birds watching, camping, photography, meditation and stargazing.“Ecotourism is defined by the International Ecotourism Society as: “responsible travel to natural areas that conserves the environment and improves the welfare of local people.” The key principles of ecotourism include minimizing impact, protecting biodiversity, building environmental awareness, and respecting local culture. Typically, the primary attractions for ecotourists are flora, fauna, and cultural heritage,” as indicated by Rainforest Alliance website. 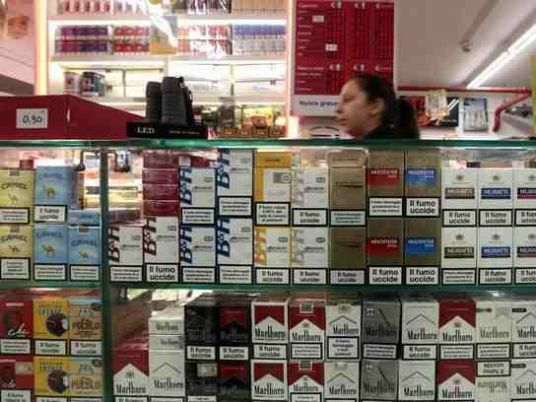 The Egyptian Cabinet’s media center on Wednesday denied social media rumors that the government would impose new tax increases on cigarettes in the 2019/2020 state budget. In a statement released Wednesday, the center said it contacted the Finance Ministry which denied imposing any tax increases in on tobacco products and cigarettes, domestic or foreign. According to 2018 National Health Survey, monitoring risk factors for non-communicable diseases in Egypt, around 22.8 percent of Egyptians are smokers. According to Health Ministry, more than half of Egypt’s population is exposed to secondhand smoke. 48.9 percent of Egyptians are exposed to secondhand smoke in their homes, and 36.5 percent in the workplace. Gaps in foundational knowledge are quickly identified and remedied, weaknesses are scaffolded and strengths built upon; with automated, constructive feedback provided. Tailored material is provided, based on a range of factors including a pupil’s focus, emotional state and their pace of learning. The platform marks work, collates data, analyses performance, and allows teachers to quickly assign ready-made activities for pupils. It is used to tailor learning to each student, while freeing teachers’ time to teach by automating admin tasks like marking and planning. It also provides them with extensive data on each child’s performance, allowing for more effective targeted interventions to support or stretch students. Samsung Electronics Egypt revealed its newest 8K TV today, during a press conference held in the Four Seasons Nile Plaza hotelCairo, Egypt – April 2019: Samsung Electronics Egypt revealed its newest 8K TV today, during a press conference held in the Four Seasons Nile Plaza hotel. The brand new 8K TVs present further advanced specs that mark a new era of TVs providing an unprecedented experience for the consumers. Kassem Hassan, Head of the TVs department at Samsung Electronics Egypt, expressed his pride in the accomplishments the TV sector achieved over the past decade. Moreover, user will be able to manage these devices with “One Remote”.Unprecedented Visual Quality with the all-new Quantum ProcessorThe new QLED 2019 TVs featuring 8K technology and the Quantum Processor, now offers a whole new level of elevated visual experience, allowing spectators to play 8K videos in high definition on TV. The new 8K TVs offer a new sound feature, where the sound system relies on AI recognition of each scene and modifies it accordingly, creating the perfect sound for the scene in display. FILE - Hepatitis C VirusCAIRO - 24 April 2019: Minister of Health and Population Hala Zayed said Wednesday that the ministry started setting up four medical care centers in Africa starting with Chad.According to a statement issued by the ministry, Zayed added that the project comes in implementation of an initiative by President Abdel Fatah al-Sisi for treating one million African nationals from virus C.She noted that African nationals living in Egypt will also be treated as part of the initiative, the statement reported.Earlier April, Spokesperson for the Health Ministry Khaled Megahed told Egypt Today that the Health Ministry is establishing 13 centers to treat African people from Hepatitis C (HCV).Megahed also added that more than 45 Million citizens have been detected so far as part of "100 Million Seha" campaign.In Feb., Minister of Health Hala Zayed said in statement that more than 30,375 million citizens were screened for HCV as part of the campaign across Egypt.The initiative was launched by President Abdel Fatah al-Sisi under the title "100 Million Health" to eradicate Hepatitis C Virus (HCV) and chronic diseases.The Health Ministry has vowed to completely eliminate the disease from Egypt by 2022.Spokesperson of the Ministry of Health Megahed told Egypt Today that the three-phase campaign started in October 2018 and will end in April 2019.In Jan., the minister unveiled an Egyptian initiative to treat African people from Hepatitis C, starting with the Nile Basin countries that have an estimated 3.7 million hepatitis C patients, representing 30 percent of the total number of infected people in Africa. I’ve never seen anything like this,” laments the 41-year-old, a leader of the Arara indigenous people in the northern state of Para. 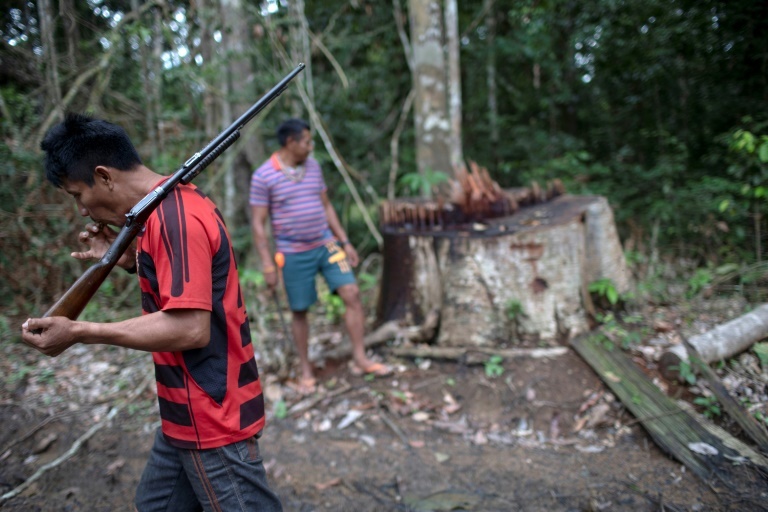 He says illegal logging on Arara lands — an area equivalent to 264,000 football fields — has intensified since President Jair Bolsonaro came to power in January. According to Para-based conservation group Imazon, deforestation in the Amazon increased 54 percent in January — the first month Bolsonaro was in office — as compared with a year earlier. Before illegal logging ramped up, local indigenous communities had already suffered — in the name of modernization. This invasion of any land, indigenous or not, is intolerable,” he said. 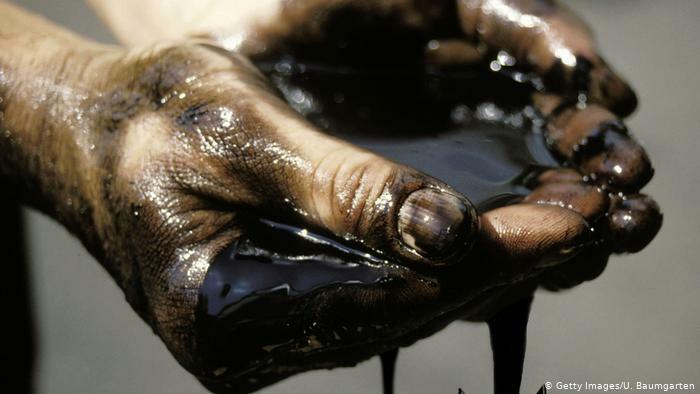 In the fiscal year 2018-19, India imported about 23.5 million tons of Iranian oil. Still, refiners in India, Iran’s top oil client after China, had almost halved their Iranian oil purchases since November when petroleum sanctions came into force. India’s imports of Iranian oil come with attractive terms, including 60-day credit and low freight and insurance costs, say analysts. “The Government of India has put in place a robust plan to ensure that there is adequate supply of crude oil to Indian oil refineries from May 2019 onwards. Close strategic tiesBut despite the threat of sanctions, India is unlikely to put a total stop to Iranian oil imports, say energy analysts. 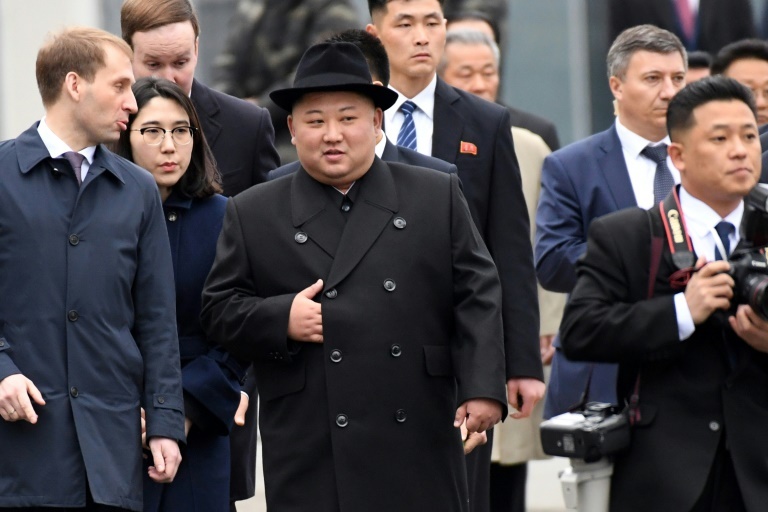 North Korean leader Kim Jong Un said he was looking forward to his first talks with President Vladimir Putin as he arrived in Russia on Wednesday seeking support in Pyongyang’s nuclear deadlock with the United States. Putin was due to arrive in Vladivostok on Thursday, then fly on after the talks for another summit in Beijing. Island venueRussian and North Korean flags were flying on lamp posts on Vladivostok’s Russky island, where the summit is expected to take place at a university campus. The talks follow repeated invitations from Putin since Kim embarked on a series of diplomatic overtures last year. Soon after his first election as Russian president, Putin sought to normalize relations and met Kim Jong Il — the current leader’s father and predecessor — three times. 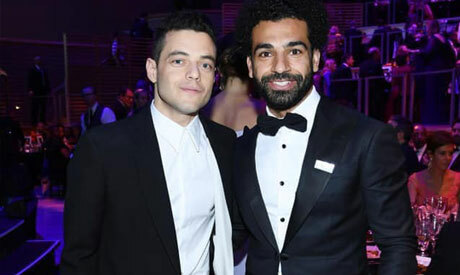 Egypt’s football sensation Mohammed Salah on Tuesday met US-born Hollywood star Rami Malek in New York during celebrations for US magazine Time’s 100 most influential people worldwide. Time named Salah and Malik in the 2019 list under the ‘Titans’ category, after Salah received the Premier League Golden Boot during a stand-out 2017-18 campaign, and Malik made history by becoming the first Arab actor to win the Oscar Academy Award for his performance as Freddie Mercury in “Bohemian Rhapsody” (2018). Salah was also selected as the Confederation of African Football’s Player of 2018 for the second consecutive year, and was named both PFA Players’ Player of the Year and the Football Writers’ Association’s Footballer of the Year in 2018. Time writer John Oliver wrote that “Mo Salah is a better human being than he is a football player. Time magazine announced in April list of the world’s 100 most influential people in 2019, including five Arab figures: Egyptian football star Mohamed Salah, Egyptian-American actor Rami Malek, Crown Prince of Abu Dhabi Mohammed bin Zayed, Yemeni human rights activist Radhya Almutawakel, and Saudi women’s rights activist Loujain al-Hathloul. EgyptAir jet - Official websiteCAIRO, April 24 (MENA) - EgyptAir Supplementary Industries has sealed a deal with an international expert house to help it attain a European accreditation certificate.The deal is part of an EgyptAir strategy meant to expand services of affiliated companies, said board chairman of EgyptAir Holding Company Ahmed Adel in a statement Wednesday.He added that it also aims to upgrade the quality of products and hone competitiveness on international and local markets.Adel Mansour, board chairman of EgyptAir Supplementary Industries, said the agreement with the expert house has to do with the production of non-structural parts of aircraft cabins at the company's plastic factory.This, he noted, should help increase revenues and profits, as well as the company's market share.It is also hoped to enhance EgyptAir competitiveness on the international aviation market, Mansour added. 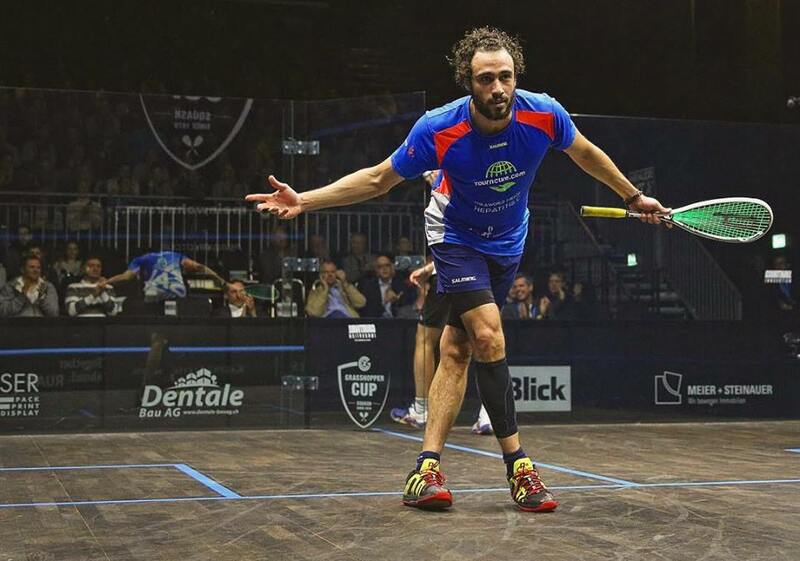 Egyptian international and former world’s number one squash champion Ramy Ashour announced on Monday his retirement from professional squash after about 15 years on squash courts. Ashour, 31, won two joiner world champion titles, three senior world championship titles, and stayed at World’s No.1 for 21 months between 2010 and 2013. Ashour was also voted in the summer of 2018 as the second greatest male player of all time behind Pakistan’s Jahangir Khan, with thousands of squash fans taking part in a poll conducted by the Professional Squash Association (PSA). Squash has given me so much, but also took a lot from me physically and mentally,” Ashour said. PSA Chief Executive Alex Gough was among those to pay tribute to Ashour.